Postmortem reports submitted on Friday to the Senate stated that the three girls who were earlier believed to have gotten lost in Cholistan were sexually abused before their deaths. 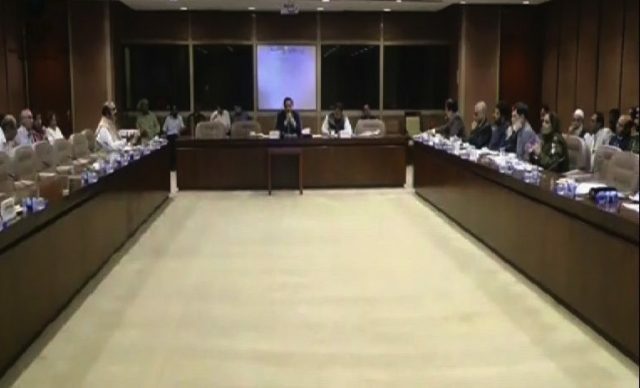 The reports were presented during a Senate standing committee on interior meeting, reported SAMAA TV correspondent Adil Tanoli. The report said that all three were abused and beaten before their deaths and that there were corresponding marks on their bodies. Committee chairperson Rehman Malik said influential people have been arrested in the case. A new committee, which will include members of the Punjab police, has been formed to investigate the case. Last month, the girls’ bodies were found in Cholistan’s Fort Abbas tehsil. It was believed that the girls got lost in the desert after getting caught in a sandstorm.